I’ve been studying for three years now. First, I did my masters in screenwriting – two years, part time, at Birbeck College, University of London. The end of that, in October 2014, overlapped with the start of my post-graduate diploma in script development, at the National Film & Television School. I feel very privileged to have been able to do these amazing courses. I really do. However, it’s taken its toll and now I can’t wait for it to be over. My final (massive) assignment is due on 30th November – three days time – so last weekend and for the next few days, I’m under self-imposed house arrest, trying to get it finished. It’s clearly taken its toll. I’ve just received an email alerting me that the post I made last weekend – while my friends were all having fun at a birthday – has now gone live. I can’t stop reading it. It has literally got me crying with laughter… I’m such a knob. But what another great distraction. 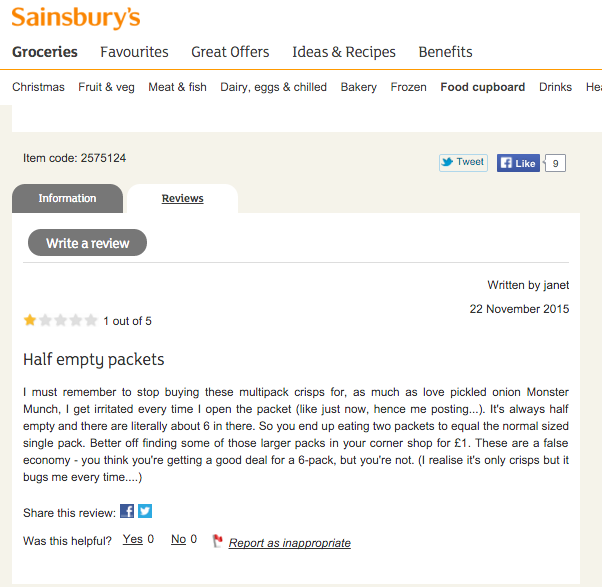 This entry was posted in Comment, Funny, Latest News and tagged Birkbeck, crisps, idiot, monster munch, National Film & Television School, NFTS, sainsbury's, screenwriting, script development, studying. Bookmark the permalink.